We turned to three bloggers for ideas on how to tackle some little, but nagging, household wall and floor issues. 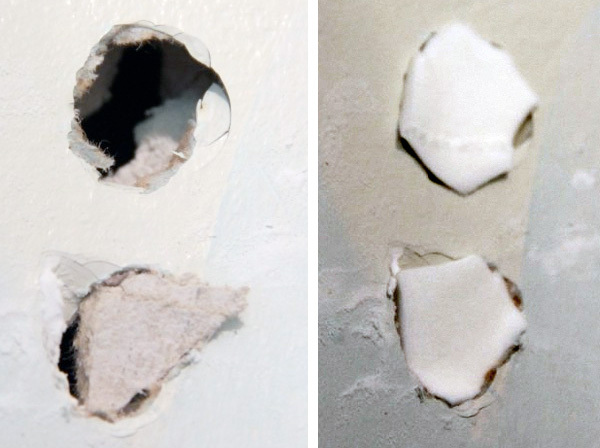 The problem: Concealing drywall damage is a tricky business that requires a handful of drywall toolsand materials to make walls look like new. To fix coin-sized holes, many traditionalists use mesh or paper tape. But not Lesli DeVito, the DIY blogger behind My Old Country House. The fix: Cosmetic wedges! DeVito first tried patching the two nickel-sized openings with cement board she had lying around, but the pieces didn’t fit as you can see in the picture below (left). 1. Cut the wedges into pieces that are slightly larger than the holes. 2. Spackle the drywall and wipe off the excess. 3. When the spackle dries, sand the area until it’s smooth. 4. Add a fresh coat of paint. Now DeVito challenges people to find where the holes were; go ahead, take a peek. The problem: You can save some dough by using salvaged materials like trim and oak flooring. But before you can install or even safely store them, you have to pull out any old nails — without damaging the wood. The fix: Although you might be tempted to whack the nail from the back with a hammer and then yank it, don’t. That can mar the surface. Instead, pull the nails out from the back, says Peter Fazio from the site Dadand. 1. Put the trim or floorboard face down on a drop cloth to protect the front surface. 2. Using your pliers, grab the nail and gently roll onto the curved part of the tool until the nail pops out. If the old filler used to conceal the nail on the front side pops out, it’s easy to fix. 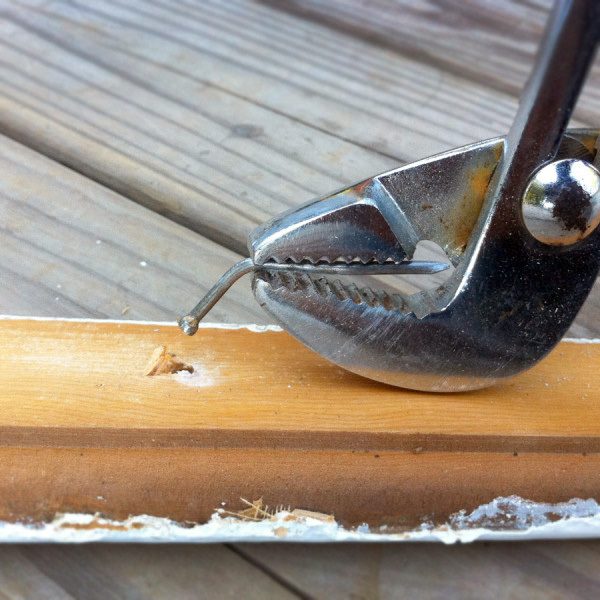 Refill the hole with color-matched wood filler (it’ll work for composite trim, too). Scrape the top of the repair gently with a putty knife to remove excess filler — otherwise you’ll leave a noticeable bump. If you can’t find color-matched filler, repair the hole and gently sand the area smooth. Spot paint to match. 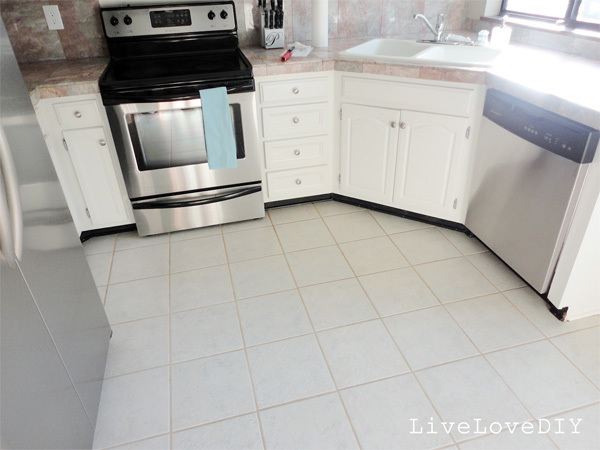 The problem: When Virginia from LiveLoveDIY painted her kitchen cabinets bright white, her dingy tile grout became a real eyesore. Sure, cleaning agents like hydrogen peroxide can brighten discolored floors, but they won’t do much for grout. 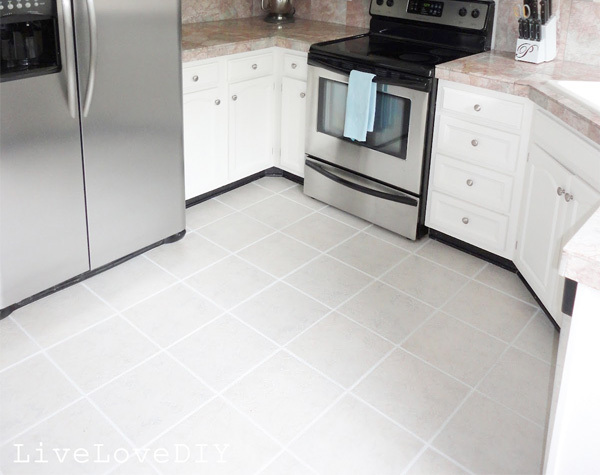 Grout is gritty and easily stains; despite scrubbing, it may never appear clean. The fix: Using what she calls the “best product ever,” a bottle of Polyblend Grout Renew (there are other brands, too), a stain- and fade-resistant grout paint in snow white. It cost $10 for an 8-ounce bottle, which was enough to cover the all grout in her kitchen. 2. Wipe off the excess from tile with a paper towel. Including a few breaks, it took her about four hours to complete the job, which she says was time well-spent. Virginia also says the grout paint is easy to keep clean. Tip: You might also want to seal the grout paint after it dries. Dogs chase kids, pans drop, chairs scrape, and soon you must repair wood floors and erase scratches that make a mess of your red oak or Brazilian cherry. A professional floor refinisher will charge $1 to $4 per square foot to apply a new coat of finish. No worries. We’ve got inexpensive ways to remove wood scratches and repair deep gouges in a few easy steps. How to remove bathroom caulk? With patience — and plenty of it. It’s not hard to do, but if you rush it, you’ll regret it. Plus, a little patience pays off by making the job much, much easier.